Chai is quintessential to the Indian household morning routine. Each household has its own concoction (usually a heirloom recipe) and the method to make tea also varies across different parts of India 🙂 Well, when we talk of evening teas (or chai time- as locals like to call it), you should also assume that it is not going to be just about tea. Indians love snacking along with their teas and we have thousands of variations for snacks- sweet and savory, baked and fried. One thing that remains constant though, is the humble tea! Tagged chocolate, churro, Dessert, easy, Fried, giveaway, Meatless Monday, MeatlessMonday, Mexican, simple. I’d love to make the churros. They sound yummy. Thank u Britney !! We adore Churros at my place too 🙂 Its a Cinco de Mayo staple !! I would make Churros, love them!This recipe sounds delicious! 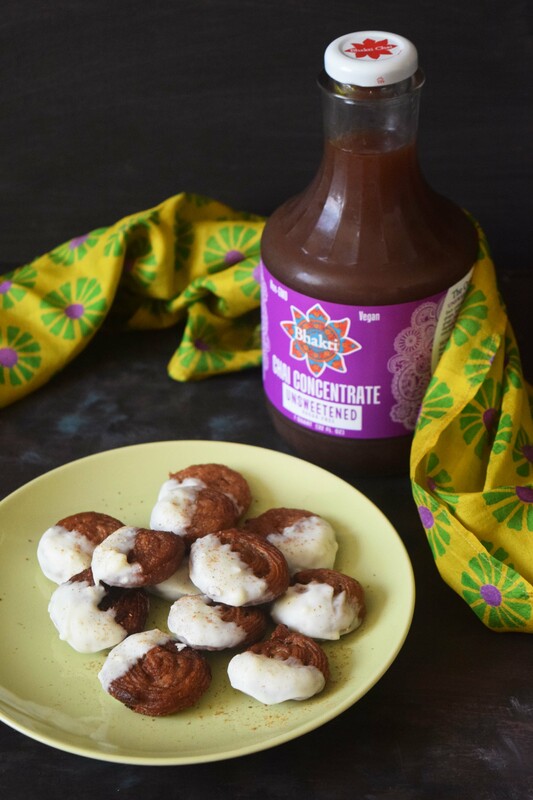 I’d like to try making pancakes with Bhakti Chai. I might add some chai to my bread dough the next time I bake some. I like that idea every bit ! I bet some chai bread with chai spices and sugar on top would be awesome !! Thanks for stopping by ! Well I love baking so maybe some chai flavored cakes. Wow .. i have not tried chai flavored cakes yet in my kitchen.. maybe I should try that out next.. Any recipe u would recommend? 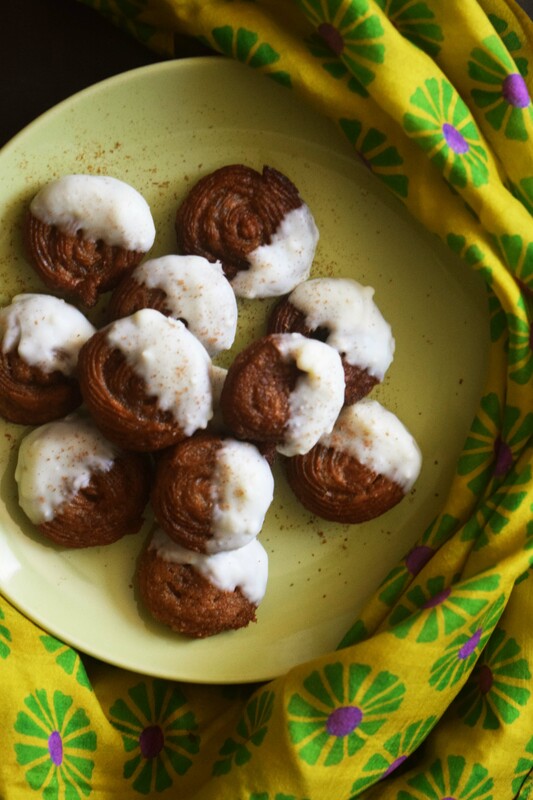 I think I wuld try making some chai cinnamon pudding or maybe your churro recipe! I’d make a chai tea latte with the Bhakti chai! 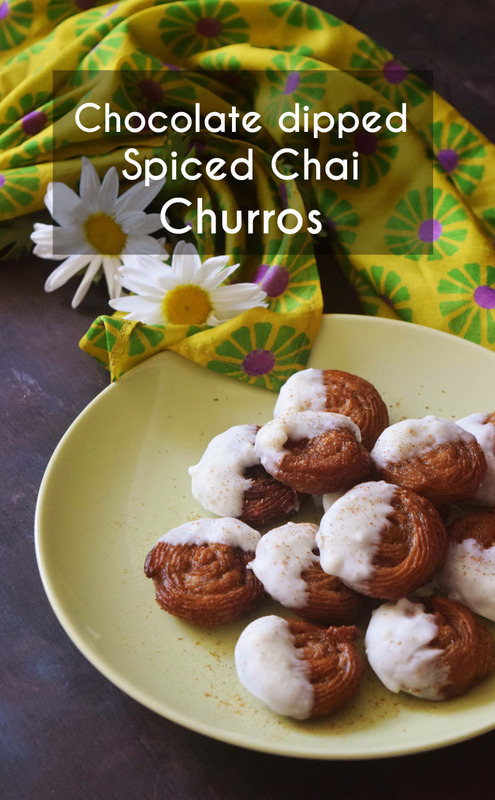 First I would love try your yummy looking recipe chai churros. I bet it taste as good as it looks. 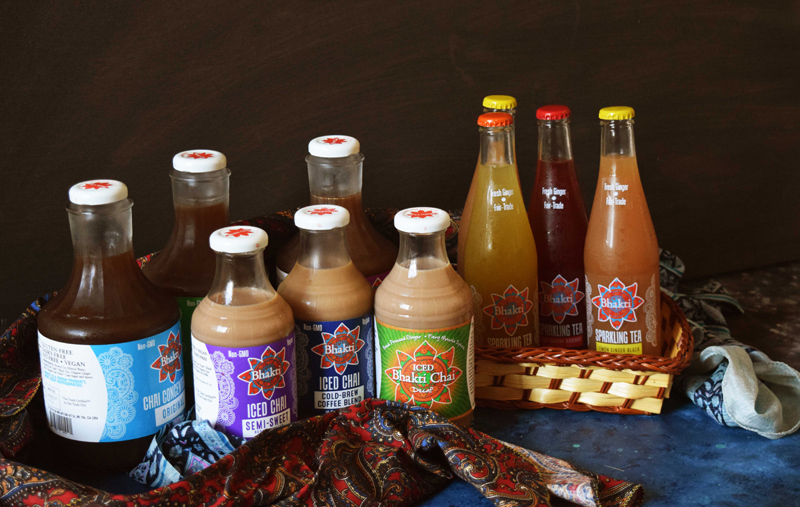 We love Bhakti Chai products. Thanks for the chance! First, I would make these churros. They look amazing! I am sure you would love these ! Some kind of dessert..not sure what, but I can think of something. I am sure u will think of great ideas ! I`d love to make churros! Yum! Chai waffles and pancakes with Chai tea. That is totally my kind of breakfast !!! YUM ! I a thinking chai pancakes with cardamom whipped cream on top… heaven ! Sold on that idea ! I would love to try the chai spiced churros!! sounds like a good plan !! OMG! The churro looks amazing! I would definitely try the churros, yummy!! Please do… they are delish ! I’m always looking for different ways to make pancakes, so I would try these products in some pancakes. I love breakfast. That sounds like a delicious plan !! I am sure you would like it ! !